The Accented Blooms stamp set have a piece of extra rubber the piece that is in the center of the flower well most people remove that piece and toss it well it is a perfect stamp to make a tile card. I started in the center with the stamp that have Hello then all the other in that center stamp. and then the YOU! from Hold on Hope that is stamp with Night of Navy. 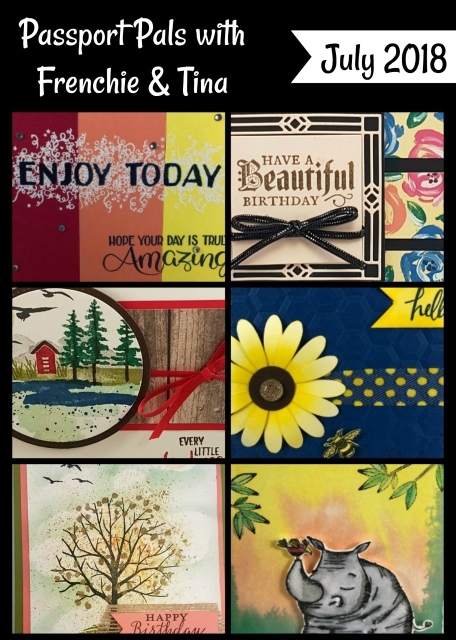 To make this card, I started in the center (HELLO) then did the upper row, top, 4th row and last the bottom. It is a perfect card to show a Ombree technique. 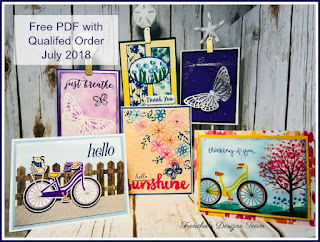 I did share this quick during my kick off party for the new catalog but never share here and last week someone ask me for a picture so here it is and I bet many will enjoy this tip for the extra stamps. No measurement for this and it is not layers only the Note card. Very ingenious, Frenchie! Can’t wait to try it. Thank you, Frenchie for that great tip. I love your card! This is awesome. Would love to see a video on this but will be trying it soon.